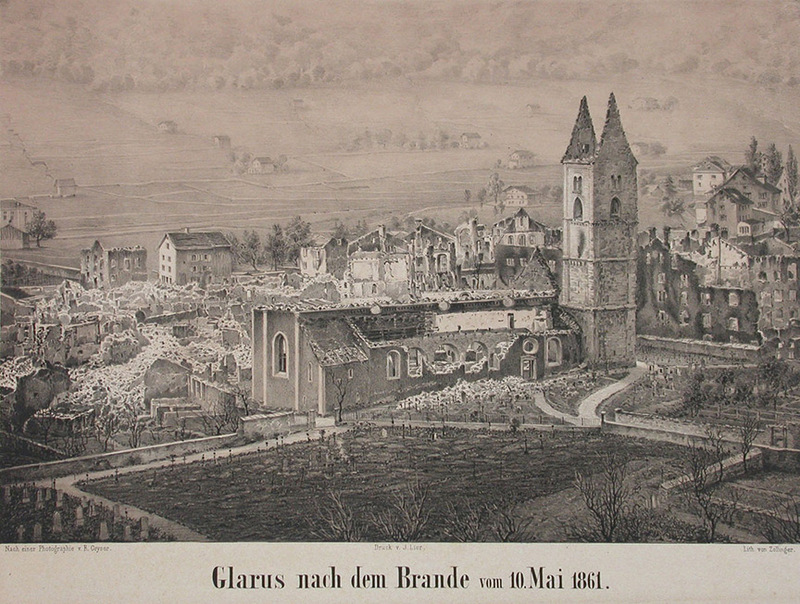 With a strong wind blowing, an enormous fire broke out in Glarus and destroyed some two-thirds of the town. The cantonal insurance institutions had insufficient capacity to cope with the consequences of the calamity, and this made the need for more insurance and reinsurance cover apparent. 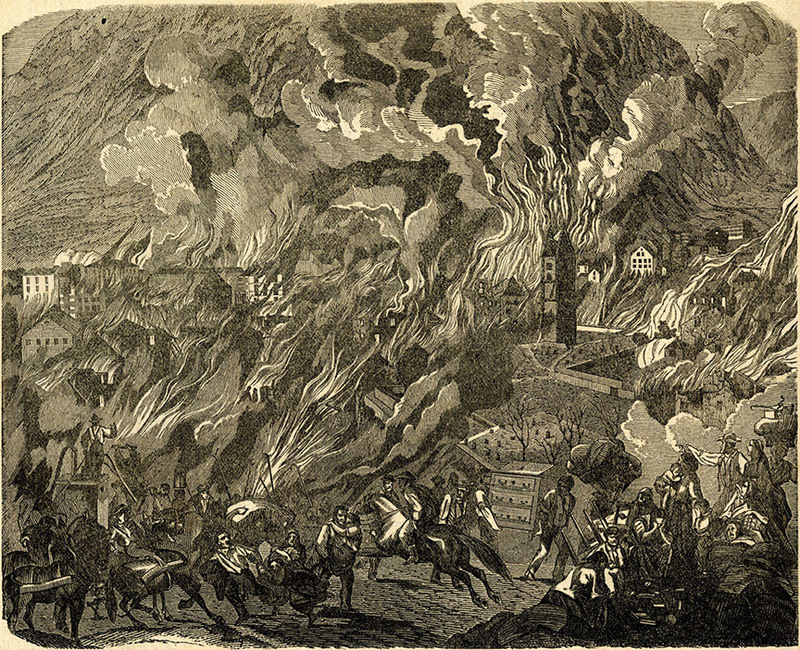 The fire broke out in a shingle-roofed stable and was fanned to catastrophic proportions by a strong, hot wind, turning the night into one of "misery and terror, woe and helplessness" for the citizens of the town. By about 10 pm, half an hour after the fire broke out, at least 150 houses – at the time an emerging industrial centre – were in flames. Despite enormous efforts, the fire could not be brought under control. Sparks leapt from one roof to another through the town, and the fire continued down the valley, consuming the church and setting the graveyard crosses on fire. The fire raced through the settlement, not stopping until it had reached the periphery. An hour and a half later, over 600 buildings were already in flames: Glarus was a sea of fire. The basin of the valley was lit up as if it were broad daylight, and the light could be seen as far away as Ravensburg, Basel and Neuchâtel. Over 2000 men from the fire brigades rushed to the scene on foot or by rail, bringing with them over 30 fire engines. The fire threatened to engulf the factories at the edge of town and the residential areas to the west and south. The brigades fought the blaze to the point of exhaustion. 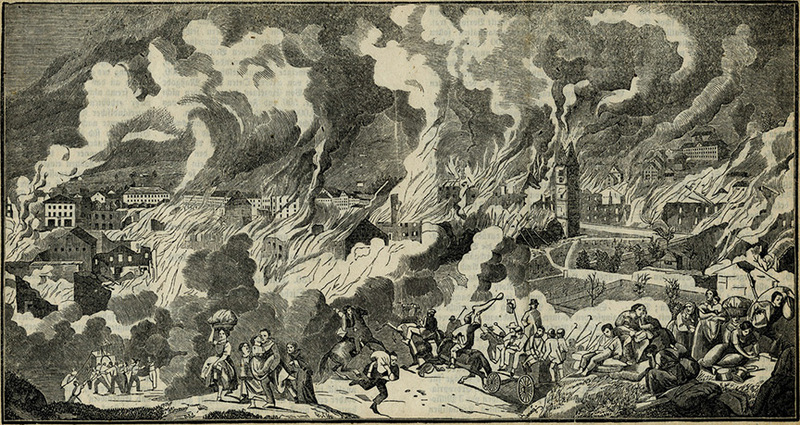 The following day, the town presented a dreadful sight; two-thirds had been reduced to ashes. Glarus was now a ghost of its former self, and around it camped over 2000 homeless people – some 47% of its total population. Eight people lost their lives. The fire had covered an area measuring approximately 570 metres by 450, and the total – uncovered – loss of buildings and contents amounted to CHF 4,600,000. Donations were collected to meet the uncovered loss, but raised only about CHF 2,700,000 in the end. 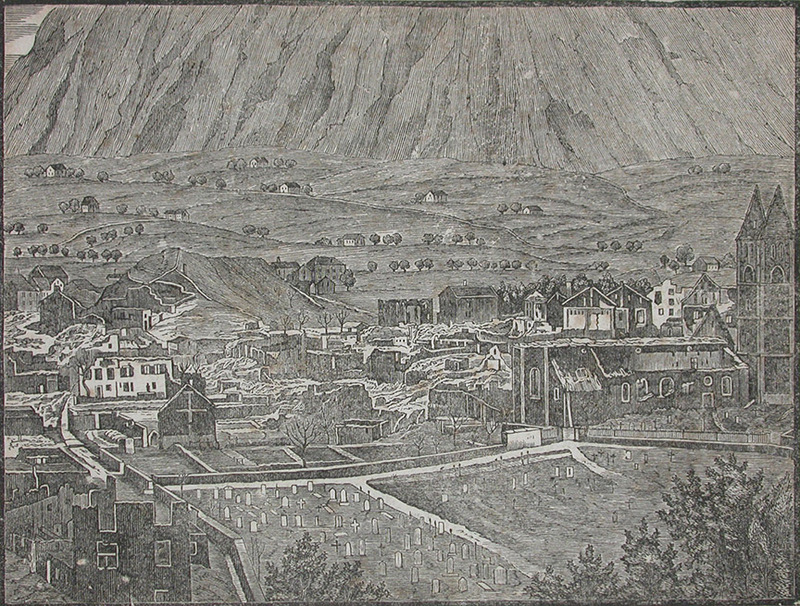 Explore a model of the town of Glarus in 1860 - just before it was destroyed by the great fire.